Vindicia>Blog>Streaming music subscriptions are up - how should companies react in 2018? It's safe to say that music streaming subscription models haven't killed the music industry like many people thought they would. 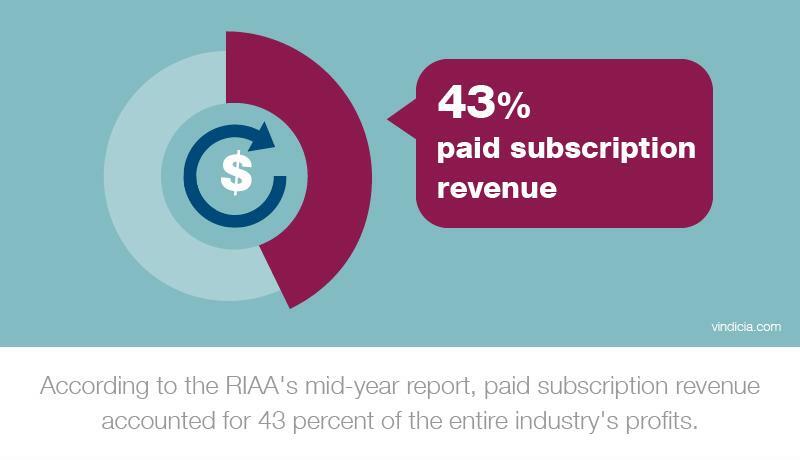 The RIAA's latest mid-year report confirmed that revenue growth is highly positive - up 17 percent over 2016's figures, in fact - hitting $4 billion. The majority of this growth came from paid streaming music subscriptions, defying the initial belief that low-priced monthly subscriptions would kill the industry. As a whole, digital streaming revenue accounted for 62 percent of total industry revenue: $2.5 billion, an increase of 48 percent over last year's figure. What's more, the average number of paid subscribers increased 50 percent over last year to hit 30.2 million. This is a record high for the U.S.
That said, these numbers represent the entirety of music industry streaming revenue, including ad-supported options and subscriptions. No need to worry; the latter still prevailed, signaling people are more willing to pay for subscriptions than withstand advertising. Per the report, revenue from music streaming subscription models increased increased 61 percent, reaching $1.7 billion. This represented 43 percent of the revenue accumulated by the entire industry. Meanwhile, ad-supported options like YouTube and Spotify's free tier only brought in $272 million, or 7 percent of all revenue. Streaming music services should see these numbers as a call for innovation. These numbers should make all subscription businesses happy, as they're proof that this form of monetization is more than effective. However, they're still just numbers. How subscription services respond to them matters far more - especially those concerned with the OTT content and music industries. In 2018, consumers will expect more than what they're currently getting, and businesses need to adapt in order to gain or maintain relevancy. A survey from Ask Your Target Market found that although a majority of current streaming music service subscribers are at least somewhat satisfied with their current platform, nearly half are still somewhat likely to try a new one next year. 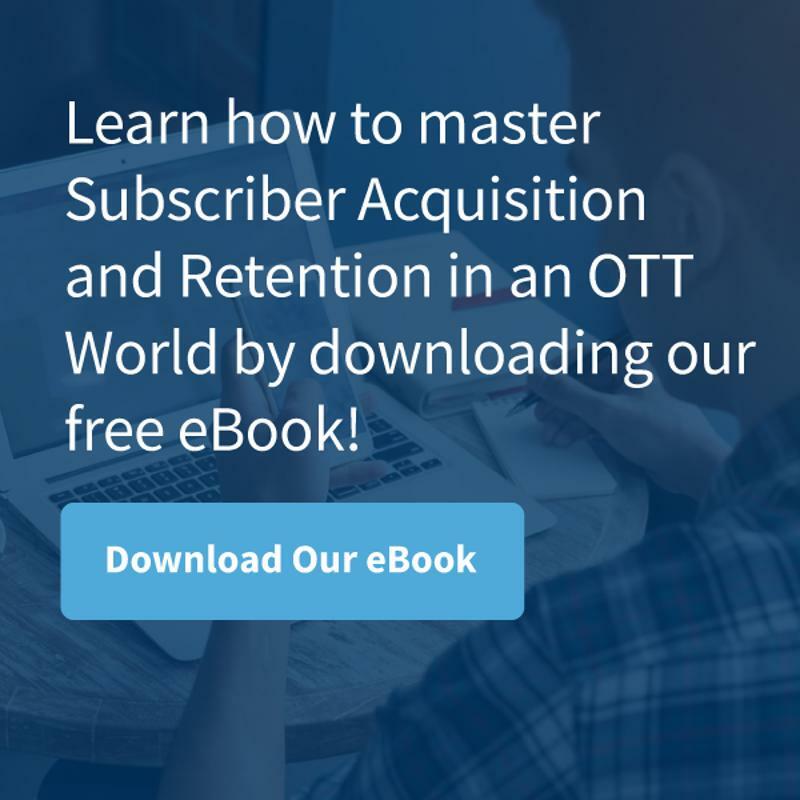 This is good news for up-and-coming subscription businesses, as they can attract these customers' attention by bringing something new to the table. It also serves as a warning for established companies, who may see subscribers slip from their fingers if they don't evolve. So then, what should subscription businesses consider in 2018? First, they need to increase their focus on mobile. Seventy-nine percent of the AYTM survey respondents said they regularly stream music on their phones. Mobile capability is not a new concept for music streaming subscriptions, but many overlook one important point: billing. These days, consumers want to be able to do everything from their phones, including paying for their goods and services. What's more, as new mobile payment services like Venmo, Square Cash and digital wallets become ever more convenient and gain an increasing number of users, it's likely more subscribers will prefer to link their accounts to these applications as well. However, building a mobile-accessible billing system that accepts a wide number of payment methods and integrates with existing platforms is no easy feat. Many businesses may not have the resources to update their current platforms in order to meet future customer expectations, let alone start a new project from scratch. In addition, we expect consumers will want more flexibility in terms of their subscriptions. Services that give customers the ability to build a custom subscription package by picking and choosing different services or tiers could gain the advantage in 2018, but they'll need a responsive billing system to pull this off. That's why businesses should partner with an experienced subscription business service provider that handles all of the back-end for them. Through such a partnership, providers can devote more focus to creating subscription offers that most appeal to consumers.